Kenya beats South Africa to emerge as Africa’s top avocado exporter, Africanews reported. According to Food and Agricultural Organization, the East African nation produces an average of 191,000 tons of avocados per year, and is ranked the largest producer in Africa followed by South Africa. Mexico is the largest producer of avocados in the world and Kenya is seventh globally with 7,500 hectares under cultivation. In 2015, the country exported 15 thousand tons and in 2017 it exported 63 thousand tons. The Kenyan government believes that the avocado market is expanding and could benefit many young entrepreneurs. Kenyan avocados, which cost around one euro per unit, are sold next to the avocados from Chile, Mexico, and Israel in most supermarkets in Europe. Past attempts to access the populous Chinese market failed largely on agricultural health concerns, according to AFP. 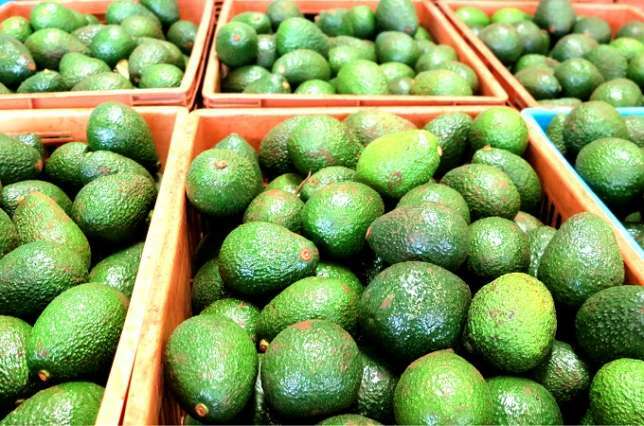 Head of Horticultural Crops Directorate (HCD) Nehemiah Chepkwony said the Kenyan government is planning high-level, government-to-government discussions on opening up the Chinese market for Kenyan fresh produce, including avocados. Kenya has resumed avocado exports to South Africa after an earlier ban was lifted earlier this year. Kenya’s avocado export to SA was stopped due to fruit fly infestation in 2007. Following the ban, the country developed a pest management plan, which created pest-free zones to reduce infestation of the fruit fly. Posted by Steven Addamah on August 24, 2018. Filed under Business. You can follow any responses to this entry through the RSS 2.0. Both comments and pings are currently closed.